Windward Roads executes Maintenance & Management for government, semi-government and residential facilities. 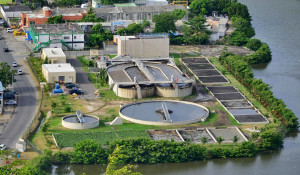 The Maintenance & Management projects range from sewage treatment plants, sanitary landfills and private facilities. With our know-how and expertise we can assure that the daily processes of these facilities can continue in good order. In close corporation with the client the activities are monitored, reported and if necessary actions will be taken. Consistency and reliability at all times with Windward Roads.